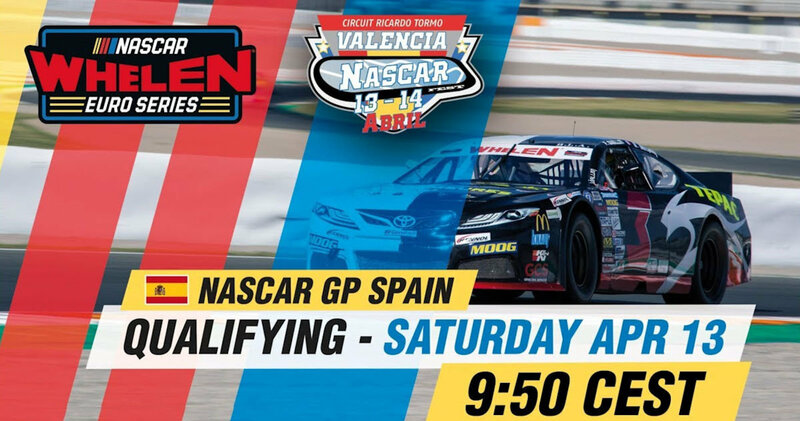 The opening round of the 2019 NASCAR Whelen Euro Series, held at the Circuit Ricardo Tormo Valencia in Spain, began on Thursday when the Elite 1 drivers had a three hour Pre-Season Practice session and it gave Racing Engineering their first opportunity to compete against the other teams and drivers they will face this season. The Spanish team’s two Elite 1 drivers, Spaniard Ander VilariÃ±o and Frenchman Romain Iannetta, were able to complete over ninety laps between them and both men used their experience to be amongst the quickest on track and Ander finished the session second fastest with a time of 1:41.515 with Romain just behind in fourth on 1:41.940. Friday saw two thirty minute Free Practice sessions for the Elite 1 drivers and two for the Elite 2 and Ander and Romain continued their good work in the morning’s first session with Ander’s lap of 1:42.204 putting him fourth and Romain’s 1:42.432 good enough for eighth. In the afternoon Ander improved to 1:40.629 to be fastest by nearly three tenths of a second while Romain was seventh with a lap of 1:41.928. For Myatt Snider his first opportunity to take the wheel of his Racing Engineering Mustang was in Friday morning’s Elite 2 Free Practice session and, despite his lack of experience with these cars and the Spanish circuit, he was soon setting some very quick laps and he finished the session with an impressive time of 1:43.704 for fifth fastest. In the afternoon the young American made a big improvement in his time to finish fastest of the 27 drivers with a time of 1:42.079, nearly half a second quicker than anybody else. The ten minute Qualification for Elite 1 drivers took place on Saturday morning and Ander was flying from the start setting a time of 1:40.413 to finish top of the timing sheets and progress to the five minute Super Pole session. 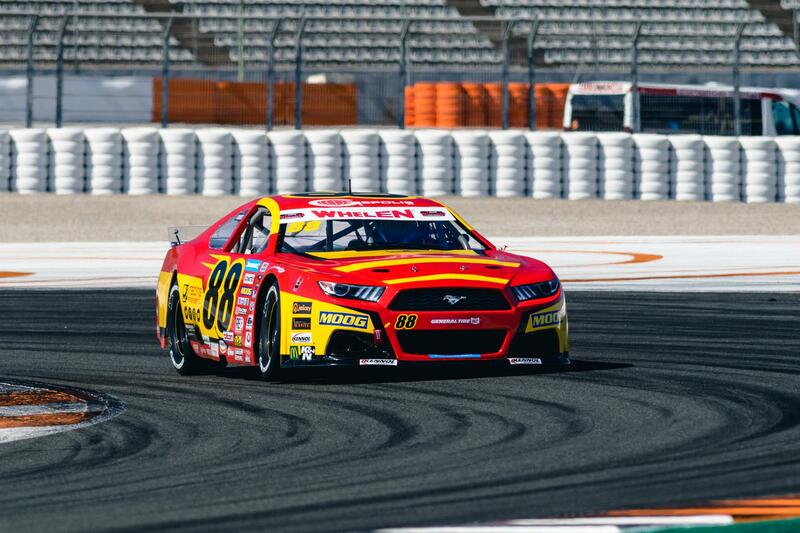 With only time to do two flying laps Ander was once again pushing hard and his fastest lap was 1:40.629 which was good enough for second quickest but a post-qualifying penalty to another competitor moved him up to pole position and sees him start his maiden EuroNASCAR race for Racing Engineering from the front of the grid. For Romain things were a little harder and he wasnâ€™t quite able to match the times set by Ander and his fastest lap of 1:41.817 left him in 17th. The twenty minute Elite 2 Qualifying immediately followed the Elite 1 session and Myatt was immediately on the pace with a 1:43.817 putting him second fastest and on his next lap he improved to 1:42.105 and he then pitted after ten minutes to preserve his tyres and he finished the twenty minutes in fourth to move into the Elite 2 Super Pole qualifying. 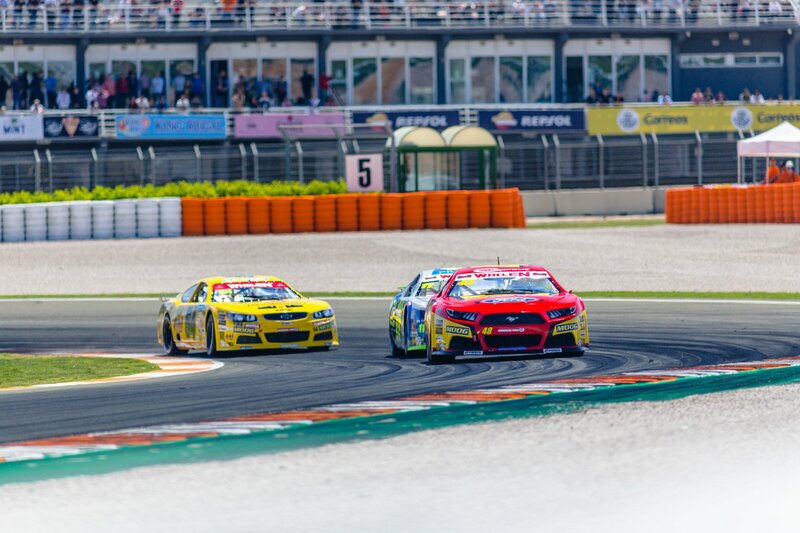 Myattâ€™s first flying lap saw him go fastest with a time of 1:41.222 and with none of the other drivers able to go quicker it meant he would be starting the Elite 2 race from pole, a very impressive debut for the young American in EuroNASCAR. Ander made a great start from pole position for the 18 lap Elite 1 race and he took the lead into the first corner and he finished the opening lap in first place, 1.4 seconds ahead of Day and Longin. Over the next five laps Ander edged away from Day opening the gap to almost two seconds but all the drivers were being careful not to overstress their tyres. 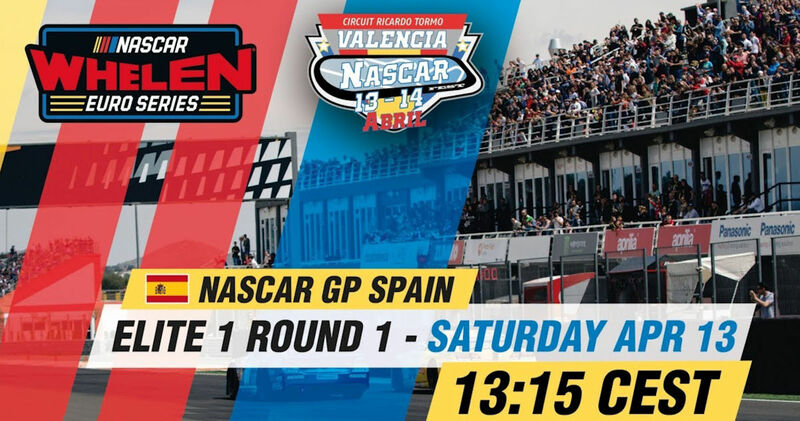 By lap eight, just after the half-way point in the race Ander was now leading by 2.4 seconds but on lap nine, he lost time and suddenly Longin and Day were right on the tail of the Racing Engineering car. On lap eleven Longin was trying to pass Ander but the very experienced Spaniard was making it very hard for the number 11 car and he was able to pull out a few tenths with five laps to go. 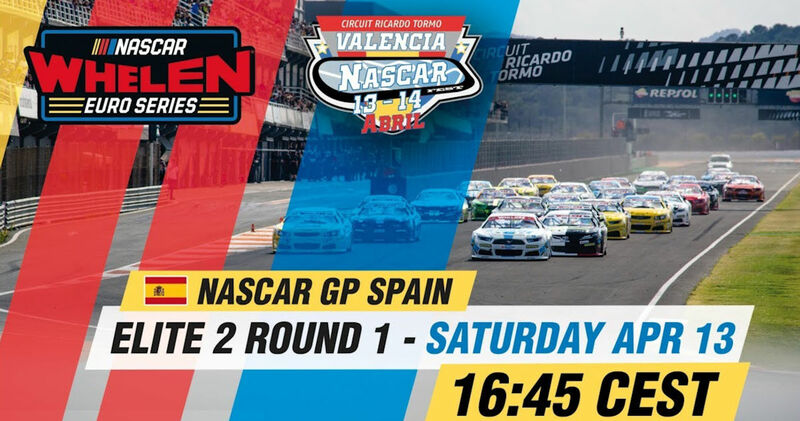 As the cars started their last lap Ander had a lead of just over one second and he made no mistakes to win by one and a half seconds to make it a fantastic start for Racing Engineering in EuroNASCAR. He was also able to set the fastest lap in the race meaning he will start tomorrowâ€™s race from pole position. Romain got away well and gained three place on the first lap to lie fourteenth but on lap five he was given a drive-through penalty for exceeding the track limits when he had to leave the track to avoid contact with another car which dropped him back to twenty-fifth. Over the remaining laps the Frenchman gained one place but he was too far back to make up any more places and he finished the race in a disappointed twenty-fourth.. The 15 lap Elite 2 race saw another Racing Engineering driver on pole position, this time it was Myatt Snider in the car that Ander had used to win the Elite 1 race earlier. Myatt made a good start but lost a place to Castro under breaking into the first corner and he tucked into second place, he then passed Castro at the end of the first lap but again fell behind Castro into the first corner. The first three cars soon began to pull away from the rest of the pack by over a second a lap and Myatt was holding the gap to Castro to 0.6 seconds with Maggi in third 0.9 behind the Racing Engineering car. By lap six Myatt was testing Castro, sitting closely on his tail and he had opened the gap to Maggi to 1.5 seconds with the fourth placed car now nearly ten seconds behind but on lap eight an incident between two other cars saw the Safety Car deployed and the whole field closing up. Racing resumed on lap fourteen with just two laps left and, despite being forced to take inside line at the start, Myatt held onto second place and the two cars resumed their battle but as the race entered the final corners there was contact between Myatt and Castro and both men spun off the track resuming to finish twenty-third and twenty-fourth respectively, the only consolation for Myatt was that he took the fastest race lap which means he will start tomorrowâ€™s Elite 2 race from pole position. 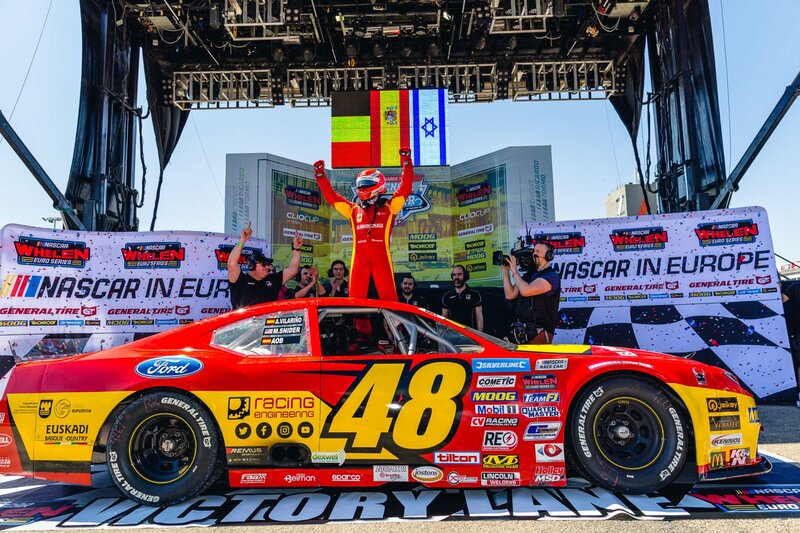 Although the day ended in disappointment it was still an excellent start for Racing Engineering in their debut in EuroNASCAR with two pole positions and race win and the whole team will be going for two more race wins tomorrow. Alfonso de OrlÃ©ans-BorbÃ³n - President of Racing Engineering: "What a day! I am really proud of the team as the pressure was high and we didn’t really have any other option but to win. 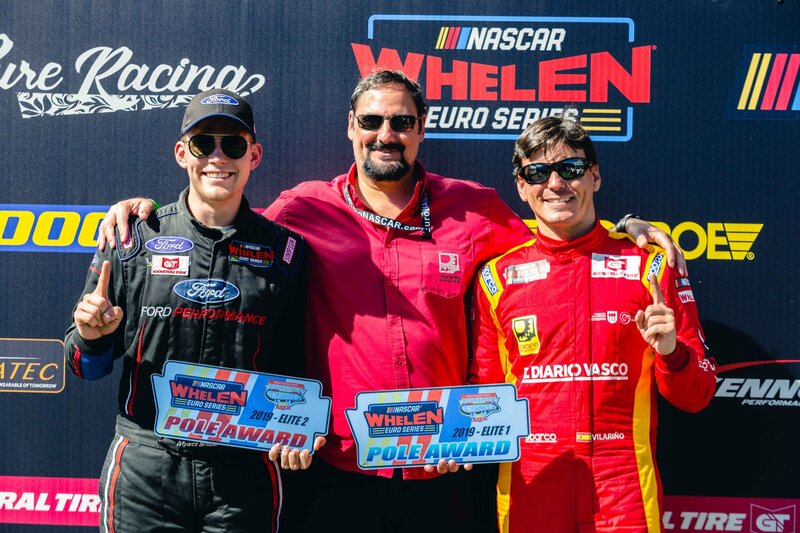 It was a great team effort, which allowed Ander and Myatt to take pole position in their respective categories. The Elite 1 race and Ander’s win were what we worked for and it’s amazing we actually achieved it. It’s a pity Romain’s race didn’t go as planned, but I am sure he will have a good comeback tomorrow. As for Myatt, he showed great pace in his race and set the fastest lap time. What a shame about the last corner incident as we lost a lot of points there but he starts from pole tomorrow and I am convinced he will fight back. Again, a big thank you to the team for all the work they put into making these results happen." 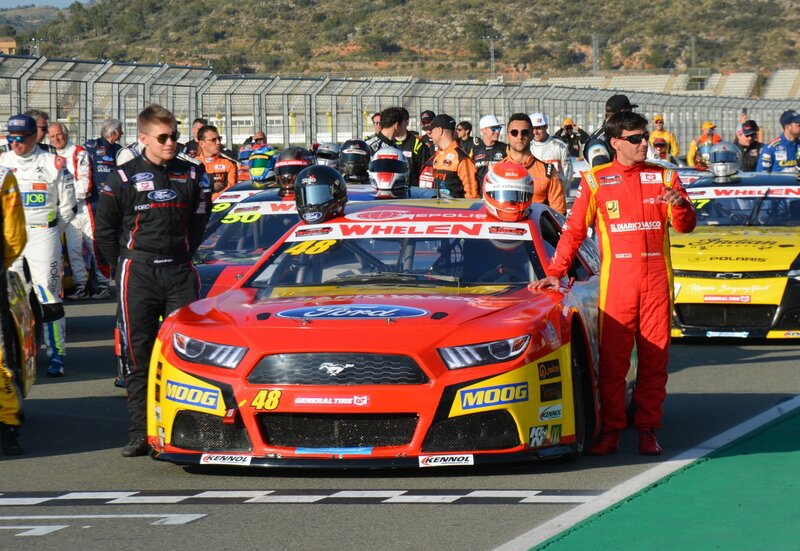 Myatt Snider: "I am just proud of everybody at Racing Engineering for bringing me such a good Performance Ford Mustang. We had great speed all day and were able to get pole and we had phenomenal speed in the race. We were the fastest car. I just got a little bit too aggressive on a move and ended up costing us the race. However it doesnâ€™t take away the fact that we were one of the best cars in this race and we showed the strength of this team. I am proud of everyone and I just need to get my road racing etiquette better."